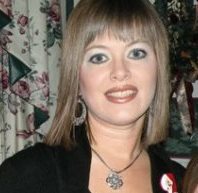 Melissa Hughes’ career in the Purchasing Office began as a student worker when she was a freshman at Louisiana Tech in 1992. Her grandmother, Mildred Dickson, was the Purchasing Director back in the 1970’s. Mildred, who was such an influential figure during her time at Tech, will soon see her 100th birthday! 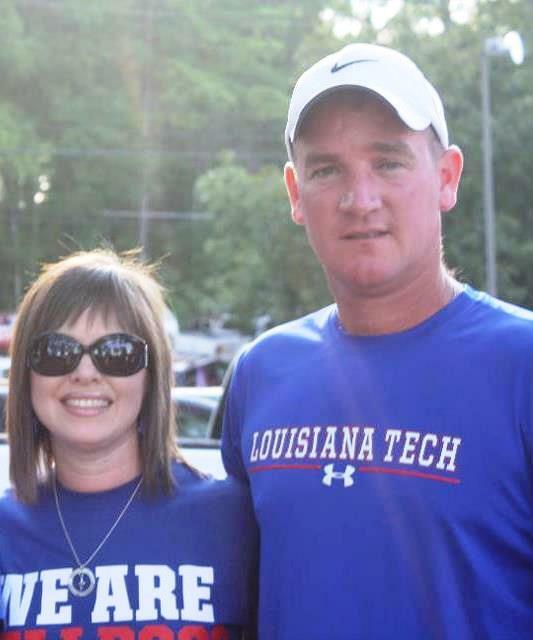 Melissa started her full-time career with Purchasing a few months after graduating from Louisiana Tech in the Spring of 1996 with a Bachelor’s degree in Business Administration. When asked what she enjoys about her job, Melissa said, “The thing I love most about my job is working for a university that has made so many major academic accomplishments over the years I’ve worked here, and I get to have a small part in those accomplishments. I love working with our students, faculty, staff, and other state entities as well as so many vendors across the country.” The Purchasing Department procures a wide variety of supplies, equipment and services for all departments on campus. 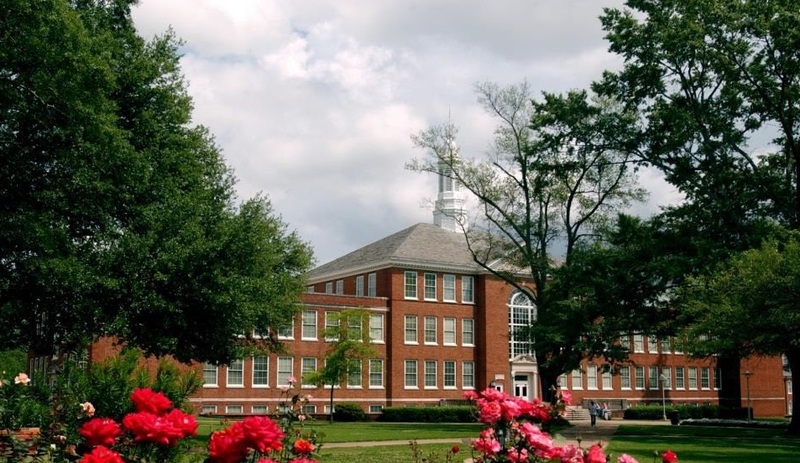 Melissa noted, “We purchase equipment such as lawn mowers for the beautiful grounds on our campus to the scientific instruments in labs across campus that are producing patents on some major research projects. Sometimes the purchase is as simple as office supplies and paper, or sometimes the project can be as complex as the demolition of the old dormitory buildings.” The primary function of the Purchasing Department is to procure needed supplies, equipment, and services with maximum value obtained for each dollar expended. All of these items are procured in compliance with the regulations of the State of Louisiana while accomplishing the goals of the University. Melissa is the administrator of the Procurement Card System for the university, which is primarily used for the purchase of supplies within each budget unit. She also sends out for bids to vendors for services, supplies and equipment, and helps departments with their specifications for these bids. She processes purchase orders and small purchase requisitions to vendors for several university accounts. Melissa has also served on several campus-wide committees over the years of working in this office. Some of these include the food service committee (before Aramark), Homecoming committee to interview potential members on the court, and the Banners and Signage committee (some of which you’ll see hanging from the light poles across campus). She is currently serving on the BRIRC (Biosafety and Radionuclide Institutional Review Committee) and the Institutional Effectiveness Committee for Administrative Support Services. Melissa is a 4th generation graduate of Louisiana Tech. Her great grandmother, grandmother, mother, sisters and husband are all graduates of Tech. Melissa is also a loyal supporter of Bulldog football and has been a season ticket holder for many years. 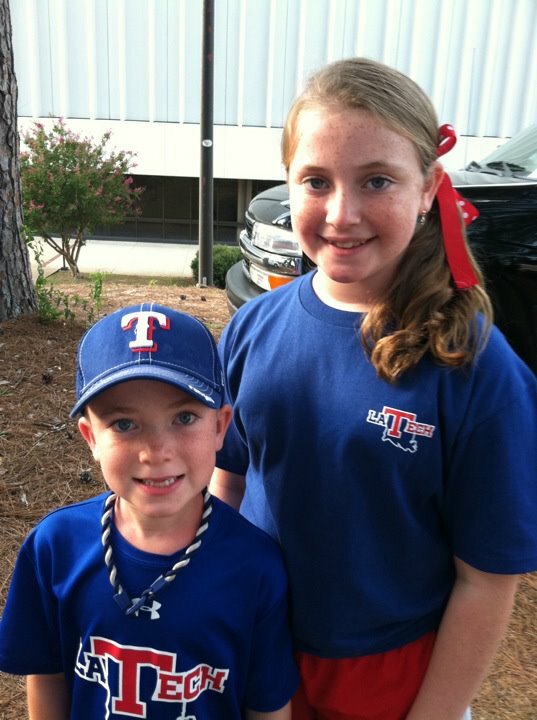 Her family has regularly attended many other Bulldog baseball and basketball games throughout the years. Melissa and her husband Jamie have two beautiful children, Ashley and Logan. They are both students at A E Phillips Lab School. Melissa said, “It would be a blessing to have my children as future 5th generation graduates of Louisiana Tech!” I have a pretty good feeling that Melissa will be blessed. There’s a lot of red and blue blood in her family.